One of 24 fragments that were found during the 3rd Meteorite Recon Expedition in May 2004 in the Hammdah al Hamra in Libya. 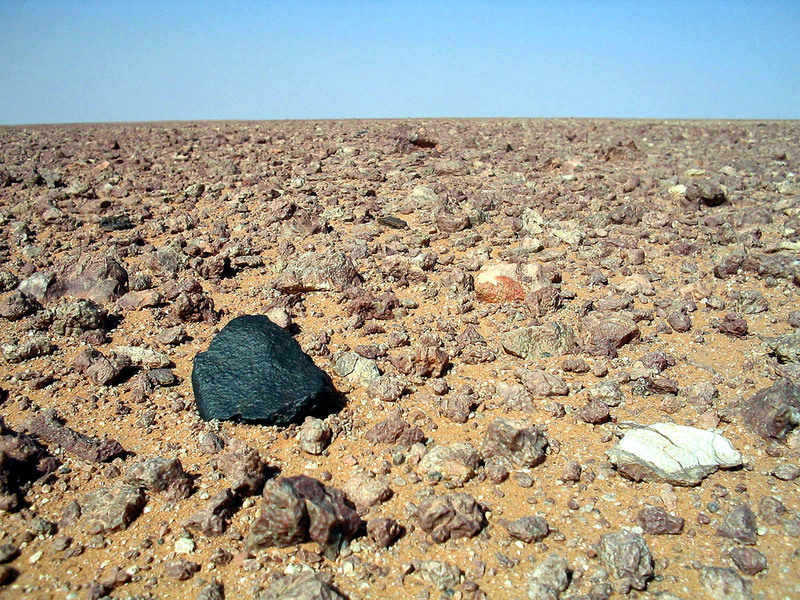 The photo shows the meteorite in situ. This particular image made it to the cover of O. Richard Norton’s Field Guide to Meteors and Meteorites.